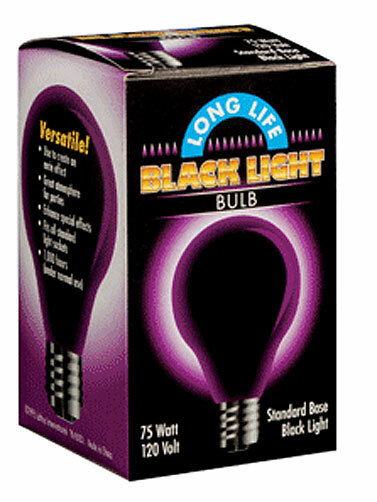 This Black Light Bulb will add the eerie purple glow of black light to your Halloween party or display. 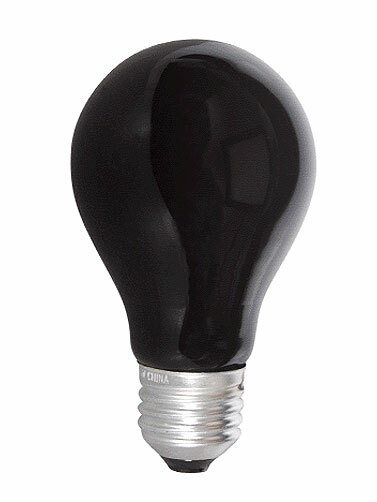 Black Light Bulb should not be used with a lamp shade. 75W, 120V. Black Light Bulb measures 2.5" x 4" x 2.5". 1 ea.